Saturday we decorated for Christmas. My husband and I usually get a live tree or don’t get a tree at all. With a kindergartener and third grader, treeless doesn’t cut it anymore. We had a pre-lit tree sitting in our garage. While I love the smell of having a live tree, I have to say there’s a lot to say for artificial. It’s only three pieces, and the lights are already threaded through. I’m a bit of a perfectionist, so by the time I’ve tackled the lights, the beads, and the ornaments, I answer to Grinchen. Did I mention the cleaning that has to be done? 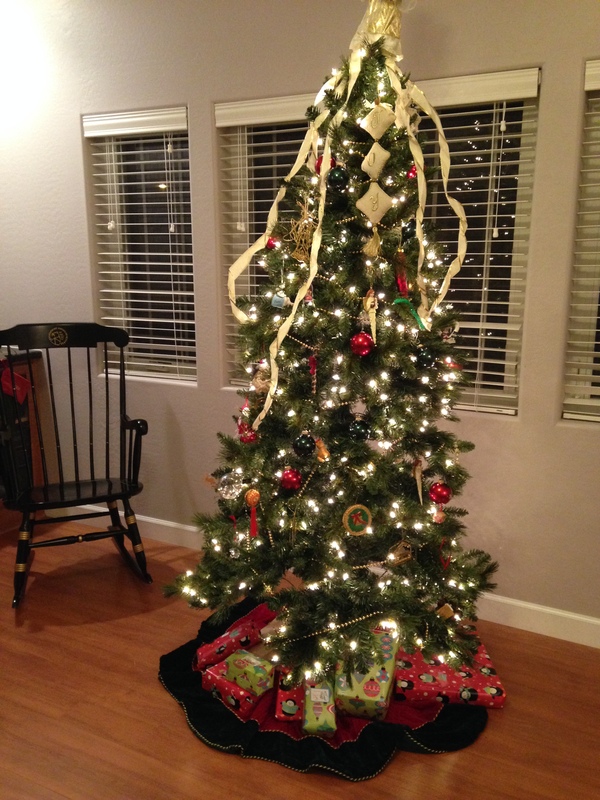 You can’t put up decorations on dusty surfaces or put a large tree on the floor without sweeping it first. This year, with the carrot of a tree to decorate, I employed my Minions. Cleaning was done rapidly and with minimal complaining. Lights were done. The beads were still there, but the Minions put up the ornaments with me. It was so much fun and low stress. I directed and moved a few ornaments. Reds and greens were distributed, less pretty ornaments moved to the back, and the clear Nativity bulb strategically placed in front of a light. On top went the ribbon, JOY ornament, and angel. Done with energy and cheer to spare. The answer was a resounding yes. Because while our home has often been treeless, I have never lived in a home without a Nativity scene. One of the first things I bought for my first apartment was a Nativity scene. 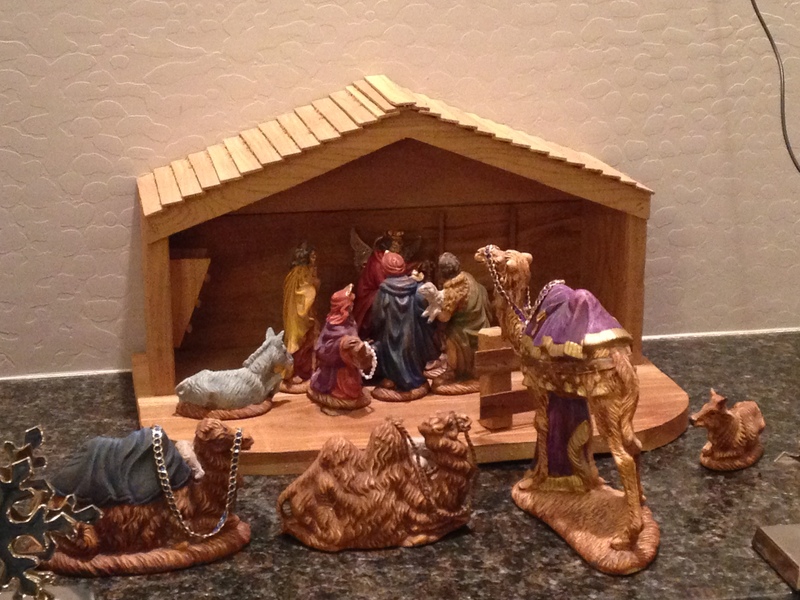 And since then through several moves, every Christmas the Nativity scene goes up. My first one was from a discount store and cost $10. Now, we have two, a ceramic one made by dear family friends and given to us as a wedding gift and a plastic one that is more “Jesus Christ action set” meant to be played with. It’s fun because the sheep sometimes wander upstairs and play with Legos and Lego figures have visited the infant Savior. My heart is shining as bright as the candles in our windows because my children know that Christmas is about that baby in the manger. Our keepsake Nativity scene. 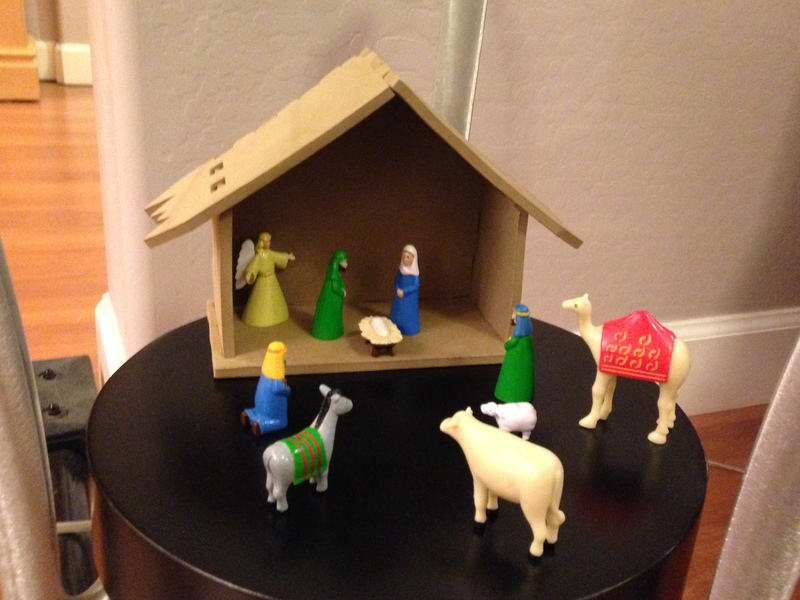 I like how my 5-year-old Minion placed the figures tight around Baby Jesus. What decorations do you have that have special meaning? This Indiana girl couldn’t go too long without naming a John Cougar Mellencamp song. And that’s exactly how my body feels. That awesome ache after a hard workout. I love it when God answers the little prayers in my life. It’s the divine version of a father spoiling his daughter. In this case, a fitness partner and an exercise routine that I love. A year ago, I put on an extra 5 pounds just in time for my 40th. Happy birthday to me. Those pesky pounds clung to me like stirrup pants under a baggy shirt. This summer, I started food journaling and going to Zumba. I lost the 5 pounds. I like Zumba, but really wanted to join Crossfit. However, it’s pricey, and I couldn’t justify it. A few weeks ago, I got reconnected with a woman I met when I first moved up here. She and I have a lot in common, and she was looking for someone to do a Crossfit-style workout with her. Sign me up please! We’ve met a couple of times and scheduled a regular time or two per week to continue. I’d love to lose about 5 more pounds, but I’ll be satisfied with a fitter me at this weight. Ski season is around the corner. That’s the original title of “The Air Force” (Air Force hymn). You probably know the song, but as it’s not in the public domain I can’t use the lyrics here. 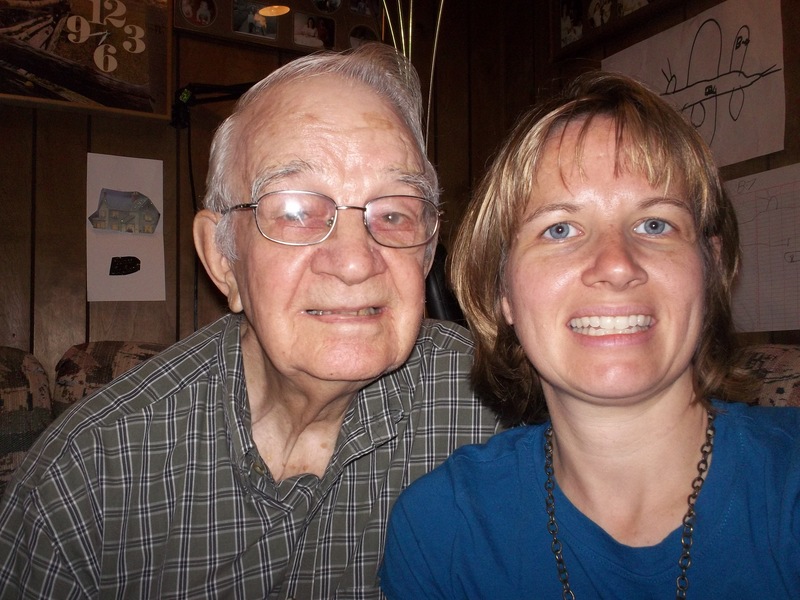 This week’s song title is to honor my favorite veteran, my grandfather, Archie Goodwin. He was in the Army Air Corps which would later become the Air Force. He was part of a B-17 crew. Six-feet tall but lanky, he was assigned the position of ball turret gunner, a job typically assigned to the smallest guy. D-Day was his first mission, and he wasn’t quite 20 which means he will be 90 on his next birthday. This video clip is from August 2012, when the local television station interviewed Grandpa. In September, I got to sit down with him for about three hours. We spent a lot is time talking about his experience. He’s very sharp and remembered some really cool details. One was having electric flight suits that kept him warmer than the fleece ones. While his flight jacket was his to keep, they had to sign out their flight suits. 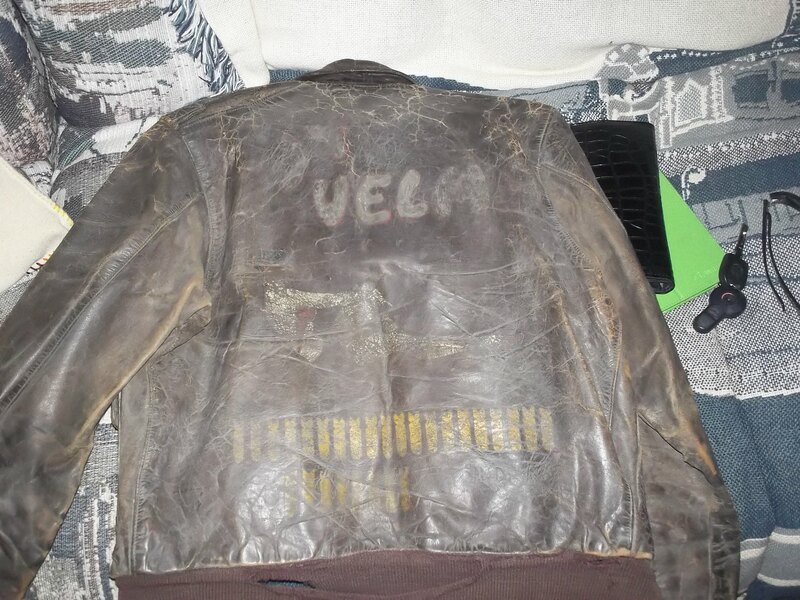 Grandpa has his flight jacket. It’s in poor condition because he wore it when he carried mail. He let me try it on. There was something about wearing history. Grandpa showed me the faded design on the back. His plane, “Lady Velma”, was named after the pilot’s wife. His was personalized with “Indiana Kid” on it. It also has 27 yellow bombs representing most of his 31 missions. It’s sobering thinking those marks represent the times a young man half my age squeezed into a ball and laid his life on the line for freedom. Grandpa’s jacket. Velma and the bombs are visible as is a bit of Lady Velma. Indiana Kid is nearly invisible and didn’t show up on film. In 2002, my grandparents visited us and we went to the Pima Air Museum in Tucson. His picture is in the 390th Memorial Museum. He told Grandma, my husband, and me what it was like. One of the things he shared was dropping food to the French Resistance. He tells of waving his guns to a small boy. At the museum, a man heard Grandpa and thanked my grandfather for keeping his Dutch relatives from speaking German. Perhaps one of the proudest moments of my life. I’m taking this veteran’s day to honor all of those who have served our country but especially, Archie Goodwin, my special link to The Greatest Generation. God Bless America! Like a true Parrothead, I’m referencing a Jimmy Buffett deep track and one of my favorite songs. It’s about taking pride in your work whether you sing beach tunes or sweep floors. God instructs us to do the same. Work as working unto the Lord. The thing is my career has been anything but what I planned. And yet, it’s worked out to be beyond my narrow expectations. It started with me imagining working for a plastics company. After graduation I was called back for a second onsite interview, but my trip was delayed by a case of strep throat, something I hadn’t had since I was 12. I mean this was in 1995 and the last time I’d taken antibiotics was just after the 1984 Olympics. After a valiant attempt to persuade the doctor I had to go on this interview, I acquiesced. The trip was rescheduled but due to the previous recession, they reduced the number of positions. The summer wore on and while waiting for full-time employment, I took a part-time job as an on-call secretary and had a lot of fun. I learned how to edit Word documents in DOS. Geeky but fortunately a skill I never used again. 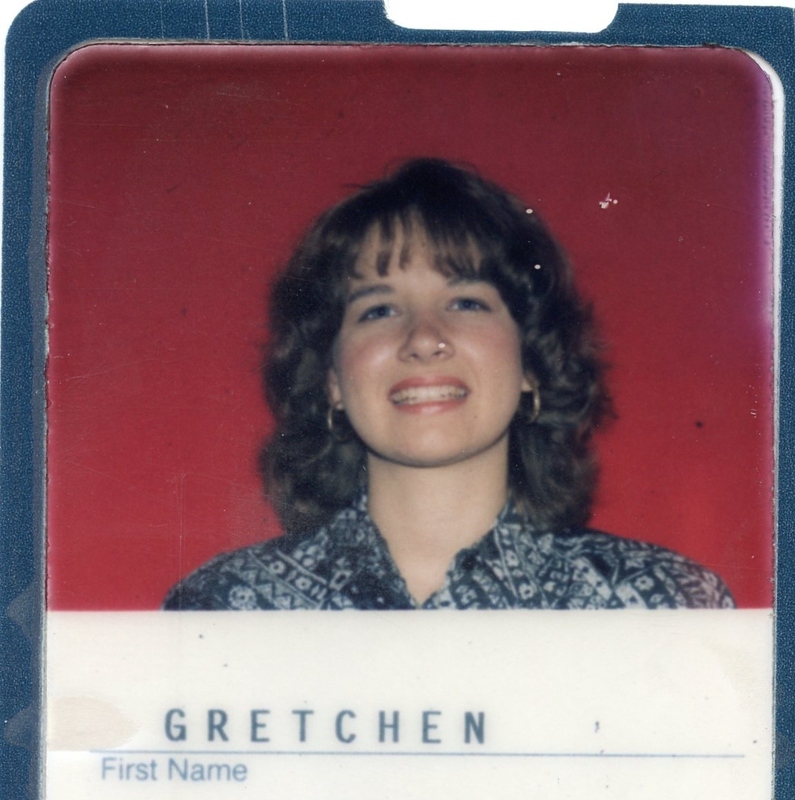 Company ID from my stint as a secretary. A couple of months later, I got a job using my degree, and it was a sweet deal for a 22-year-old. Company car, credit card, lots of travel. Only one problem. I was absolutely freaked out driving on freeways. I even had my boyfriend (now husband) plan out routes to his house avoiding them. Needless to say, I conquered that fear, learned to love business travel, got to see a lot of really cool facilities from department stores to factories that had been around for over 100 years. I also realized that I loved being a consultant. My employer also “happened” to have a position open up in the same city a few months after said boyfriend moved there. 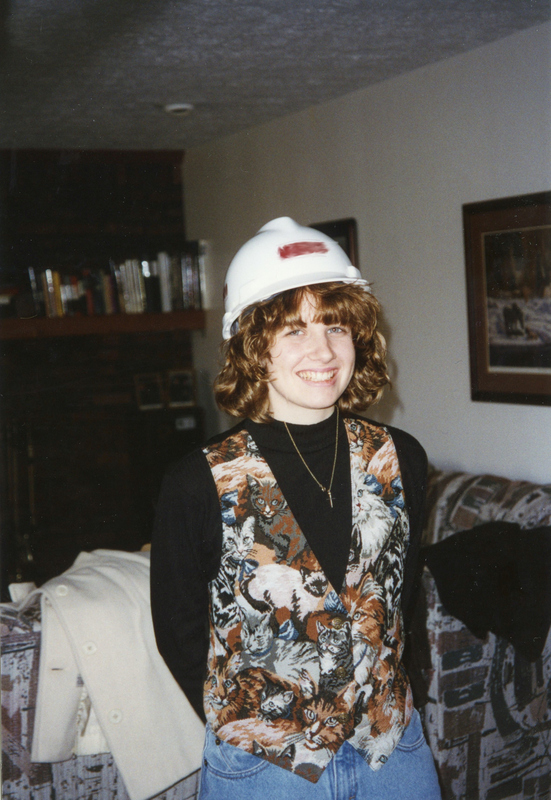 A picture of me in a hardhat from my first employer. Ignore the mom jeans and cat vest. It was 1996. A year later, I was laid off but found a position with my current employer, one of the largest engineering firms in the world. 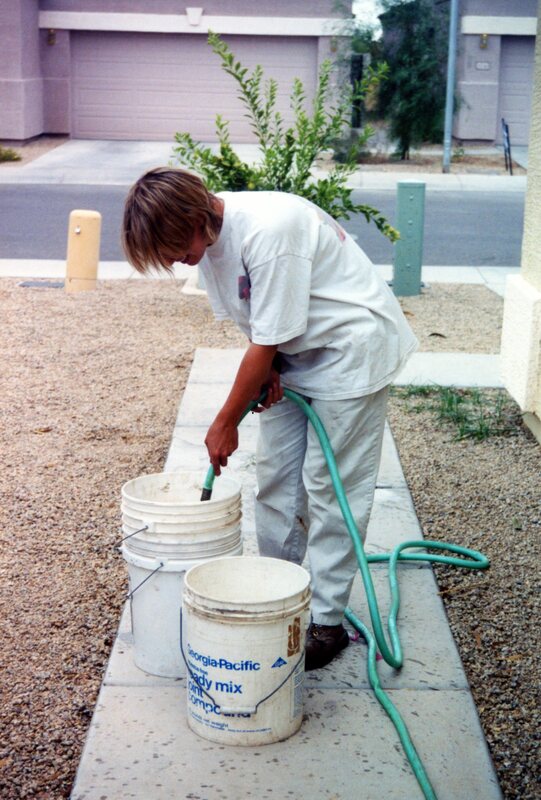 Fourteen years later, I have had the opportunity to travel overseas, gained a both a breadth of knowledge in environmental engineering, as well as developed areas of expertise. I now telework and work part time. It’s interesting. Most days I work from home and wear a shirt and jeans. In the office, I wear business casual clothes. When I do field work, it’s steel-toed boots, cargos, t-shirts, and Carhardts when it’s cold. Often I need to wear a safety vest and hardhat. The funny thing is when I’m working I picture myself in a nice shirt and pants with dress shoes. A year ago, I shared an elevator with a fellow business woman. She looked at me rather tentatively and I realized I was wearing my field clothes. She didn’t see a chemical engineer, she saw an ordinary worker. Think about who you passed recently. Did you see a business woman wearing a green blouse, black blazer, and wing-tip shoes? How about a worker wearing Carhardts and work boots? Did you treat them differently? Guess what? 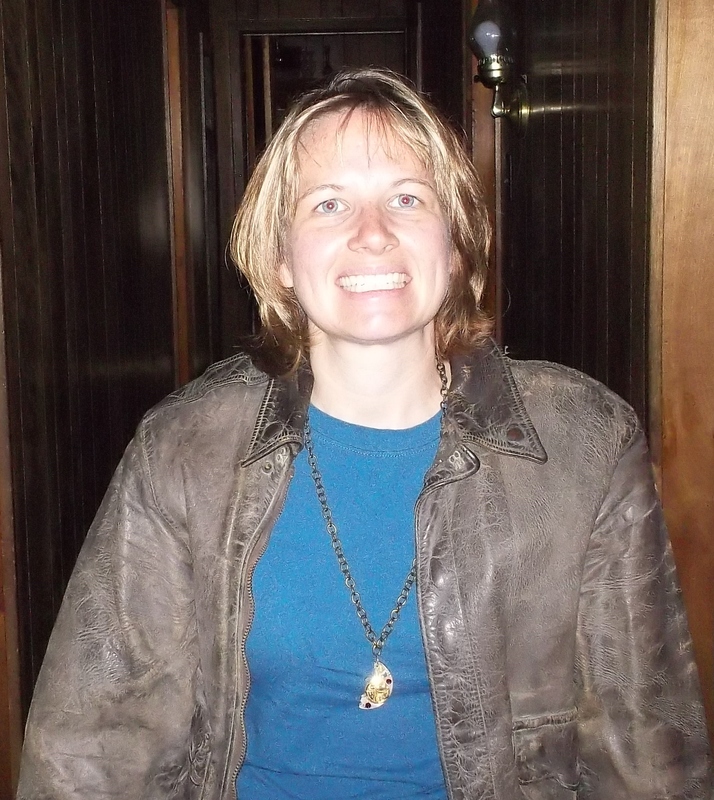 The blouse and blazer is what I wore a week ago Friday. The coveralls and work boots? I’m wearing them today. And both days I loved my job.